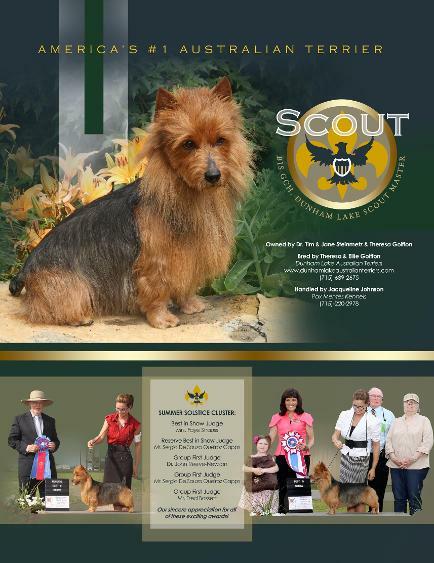 MBIS GCH Dunham lake Scoutmaster "Scout" Wins Best of Breed at Hatboro, Devon and Montgomery! Shown by Jackie Johnson. 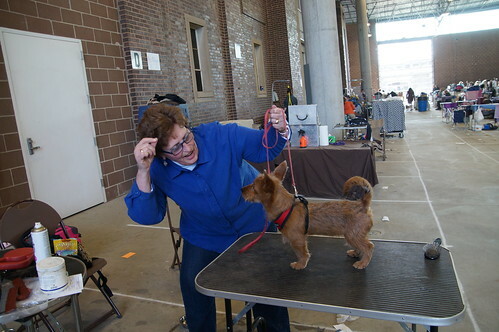 Scout wins his second BEST IN SHOW at the Granite City Kennel Club AKC show in St. 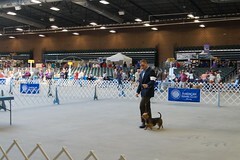 Cloud, MN under Group Judge Ms. Judy Thill and Best of Show Judge Ms. Sharol Candace Way. 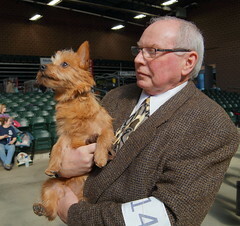 A huge thank you to both of these well respected Terrier Judges. 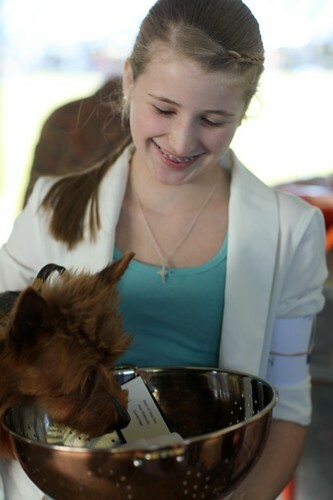 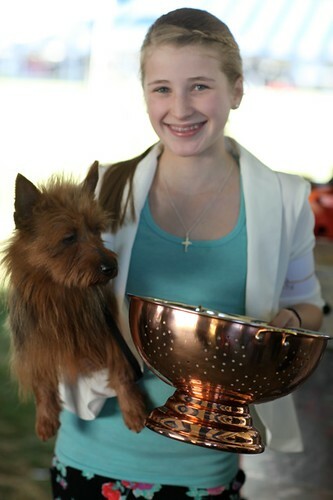 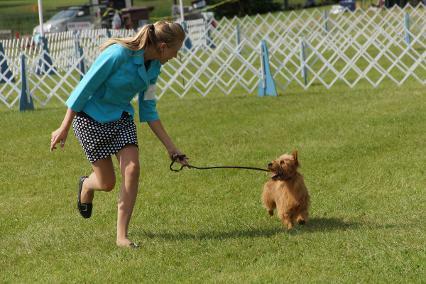 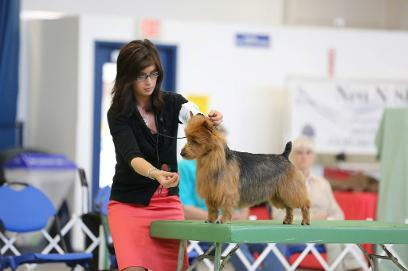 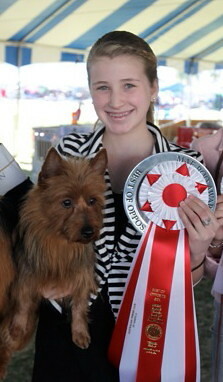 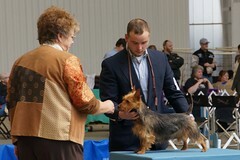 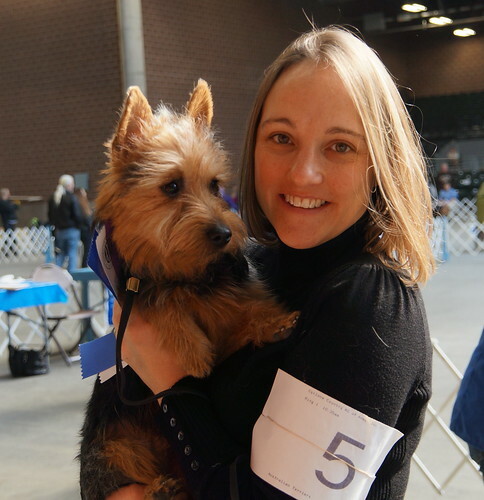 CH Dunham Lake Unanimous Decision "Jake" Wins a Group 1 at Hutchinson, MN, Shown by Lydia Goiffon, breeder/owner. 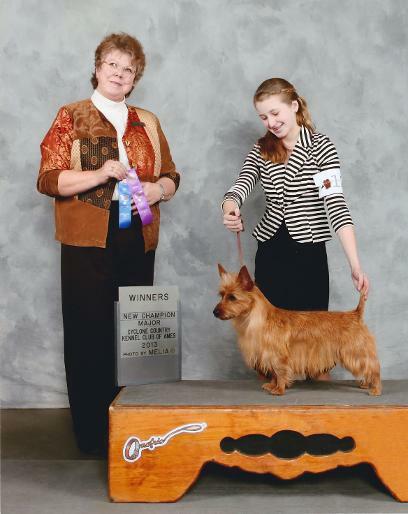 New Champion Nellyson's Yippy Yippy Yay! 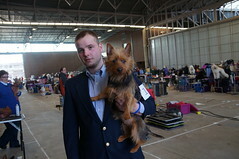 "Loretta" shown by Isaac Jewell, new to showing. 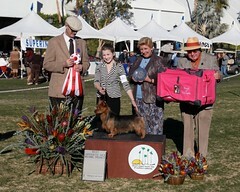 I am very pleased to announce our first Best in Show Winner, GCH Dunham Lake Scoutmaster "Scout". 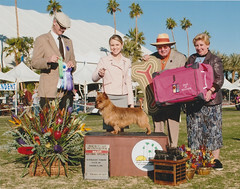 Scout is owned by Tim and Jane Steinmetz and Theresa and Ellie Goiffon. He was bred by Theresa and Ellie Goiffon and has been beautifully and exclusively presented by Jackie Johnson. 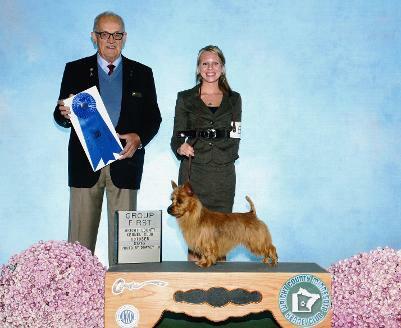 As his breeder, you might imagine the joy we had in watching Scout win the highest award. 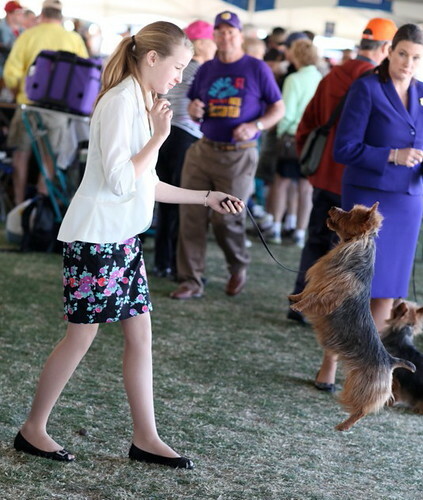 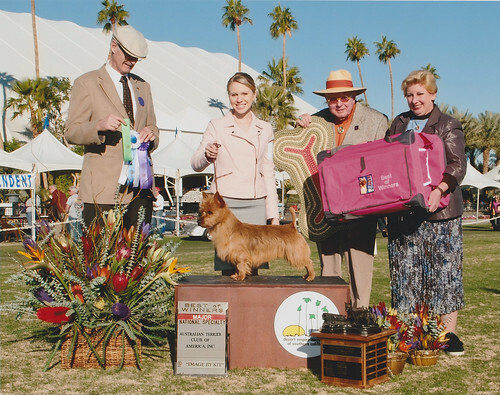 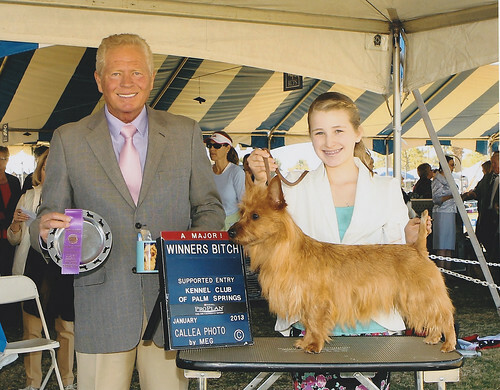 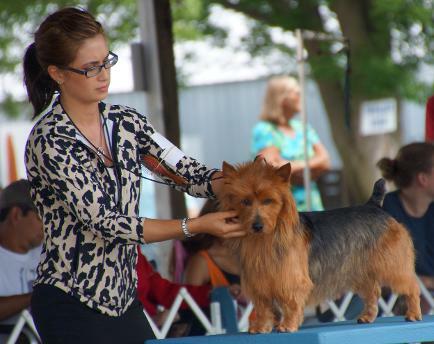 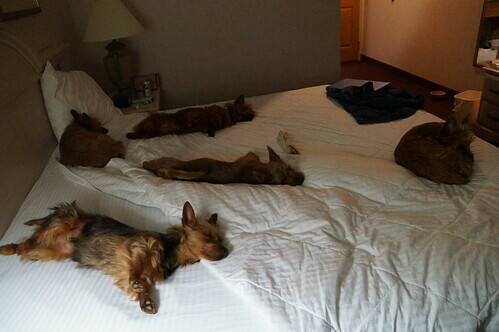 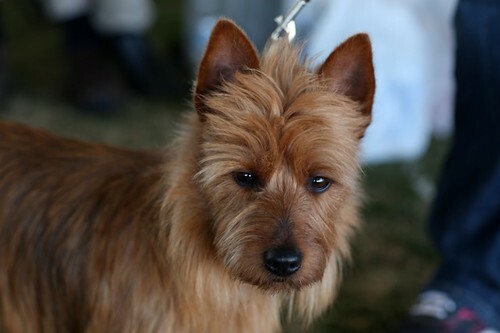 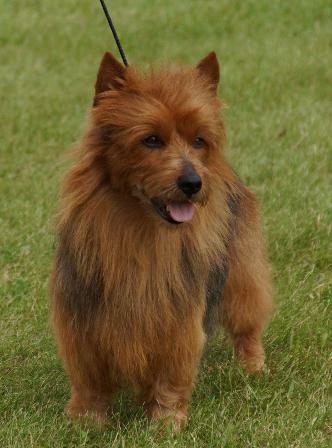 Since the first BIS Aussie Ch Taralee Sekelutu in 1971 bred by G. Woolcock and owned by Dr. and Mrs. Barnes there have only been 14 other Australian Terriers in the US that have won Best in Show. 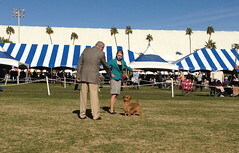 Queiroz Capps and the BIS Judge Mrs. Faye Strauss. 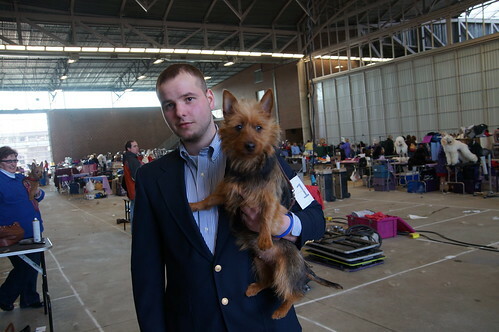 CH and Int'l Ch Dunham Lake Unanimous Decision "Jake" Wins Best of Breed and a Group 4. 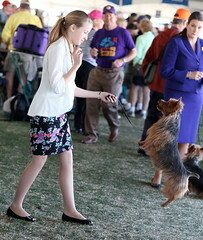 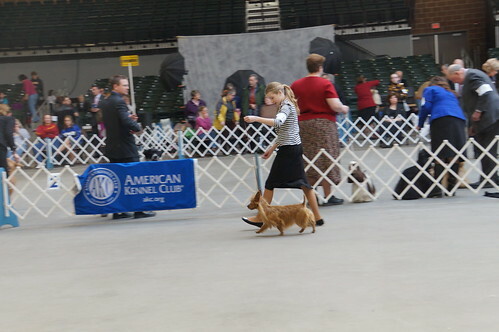 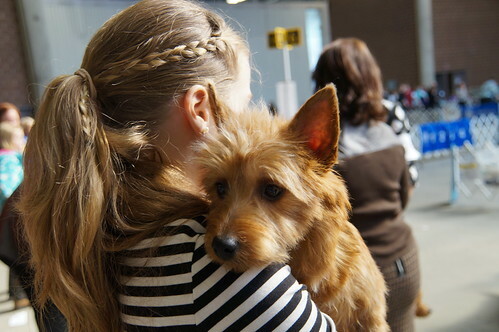 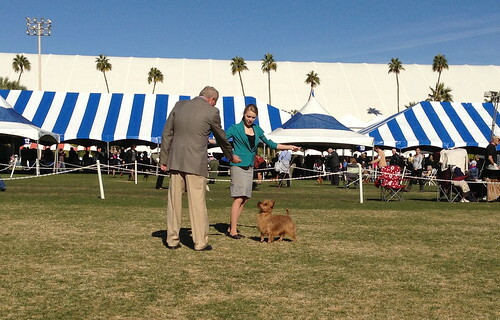 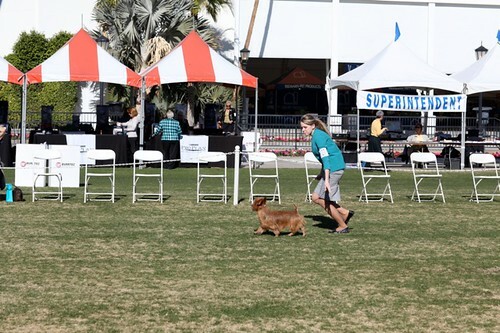 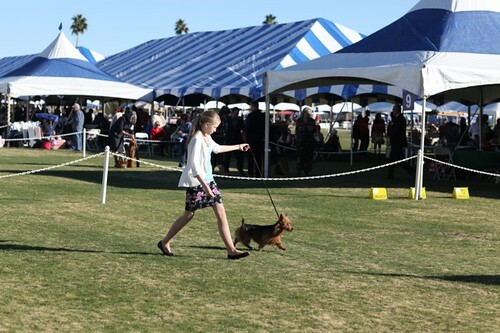 Show by his breeder, owner handler Lydia Goiffon. Thank you to Judge Mr. Robert Shreve for this honor. 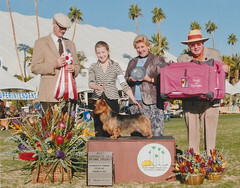 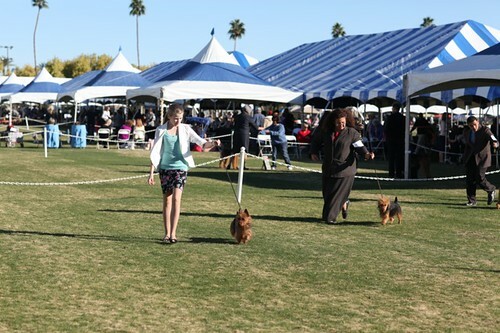 Jake and his breeder/owner/handler Lydia (right) Win a Group 1 under Judge Col. Joe Purkiser. 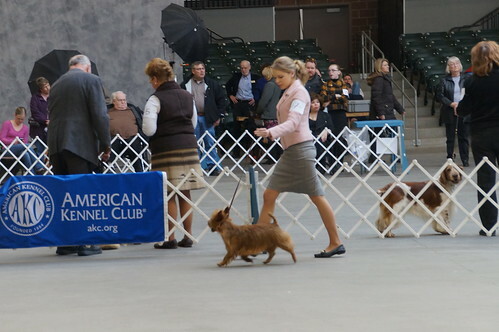 Many thanks to these experienced and well respected AKC terrier judges. 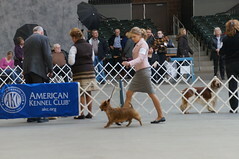 Group Judge for this great honor! 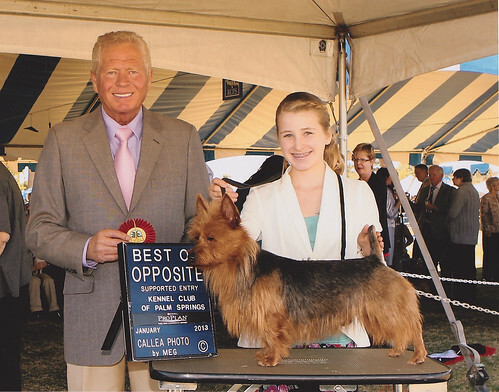 Best of Opposite: International Champion, AKC Grand Champion Dunham Lake Touched by an Angel Gabriella "Gabby"
Best of Winners: International Champion Dunham Lake Unanimous Decision "Jake"
Select Winner: Grand Champion Dunham Lake Scoutmaster "Scout"
What a weekend! 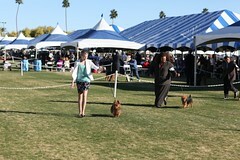 Gabby went Best of Opposite 3 out of 4 days and Scout went Select 3 out of 4 days. 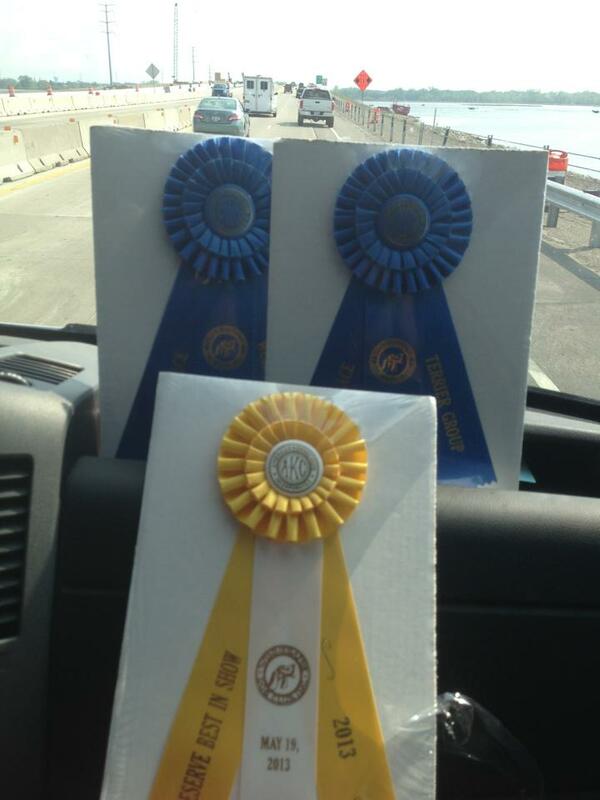 Dunham Lake Take a Bow "Reba" Best of Winners one day of the weekend show also! 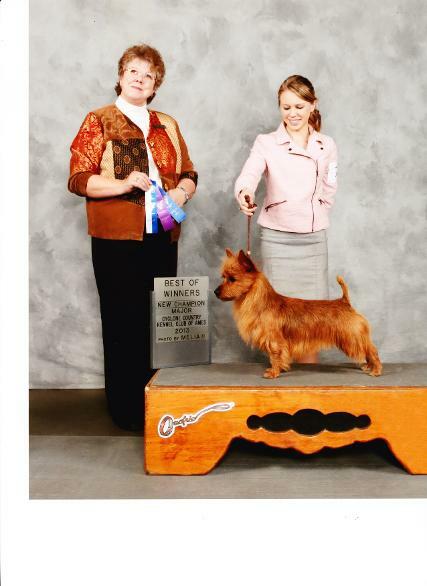 Thank you to Judge Jon Cole for these great wins and recognizing our breeding. 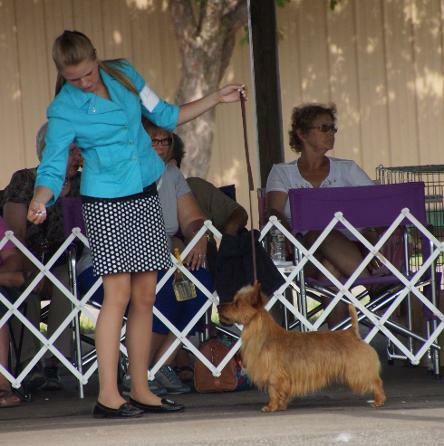 Thank you to Judge Mrs. Wyoma Clouss for this honor! 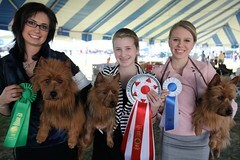 Thank you to Judge Wyoma Clouss!